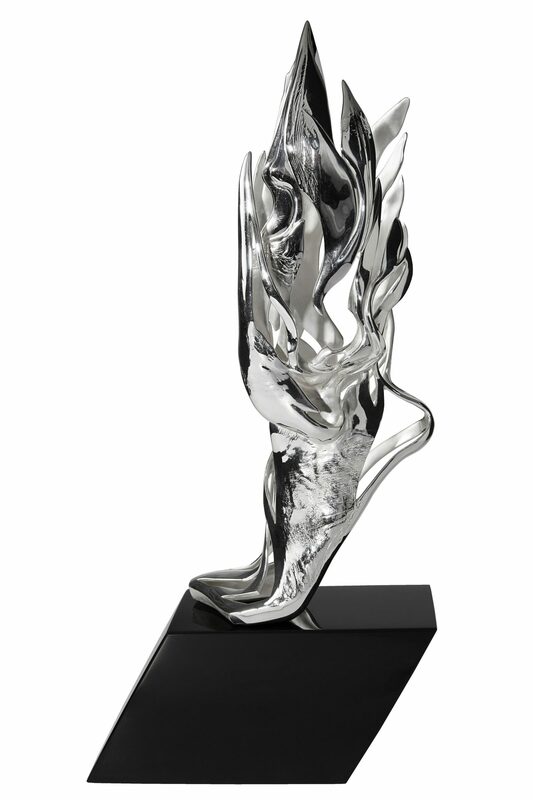 The Worshipful Company of Cordwainers, one of London’s oldest livery companies commissioned Y&E Studio to create a remarkable new award for the National Footwear Student of the Year Awards. The design embodies a spirit of innovation and creativity, it is an exaltation to the art form, skill and infinite possibilities of footwear design for the future. 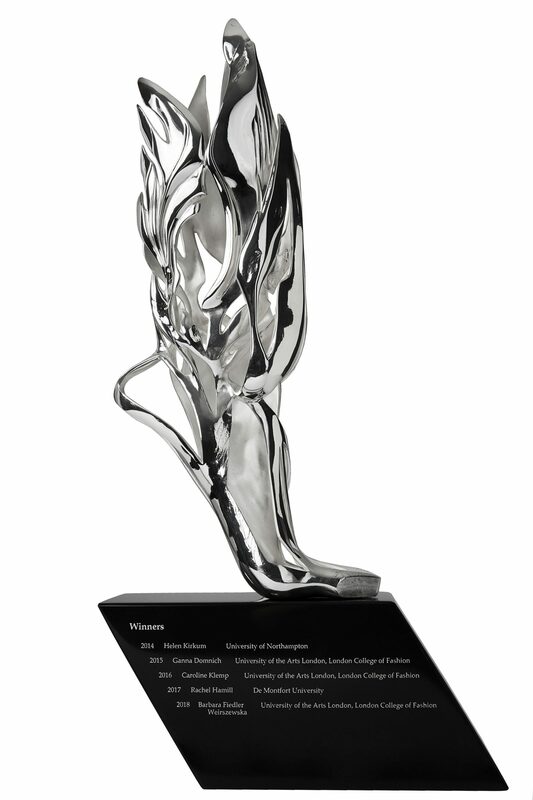 The sculpture references both Hermes – messenger of the gods – and Futurist architectural concepts, like discovering an artefact from a faux sci-fi past. 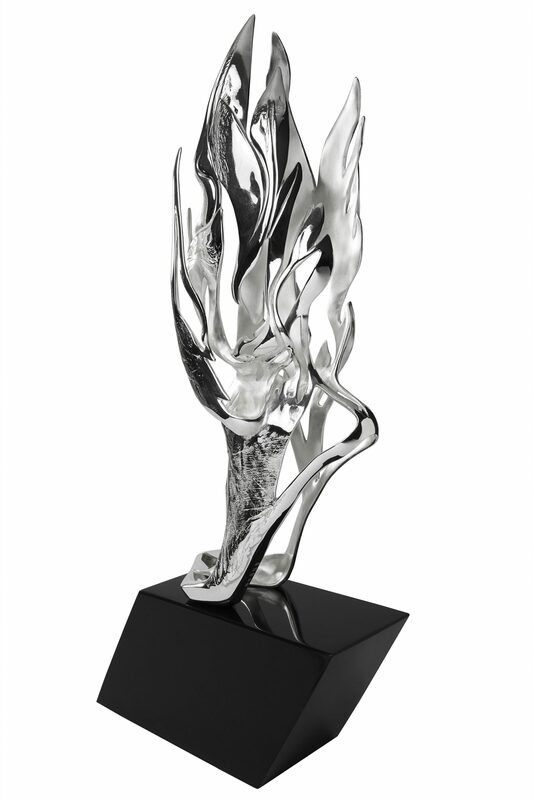 We have created a modern heirloom to sit alongside the Cordwainers’ beautiful collection of silverware. 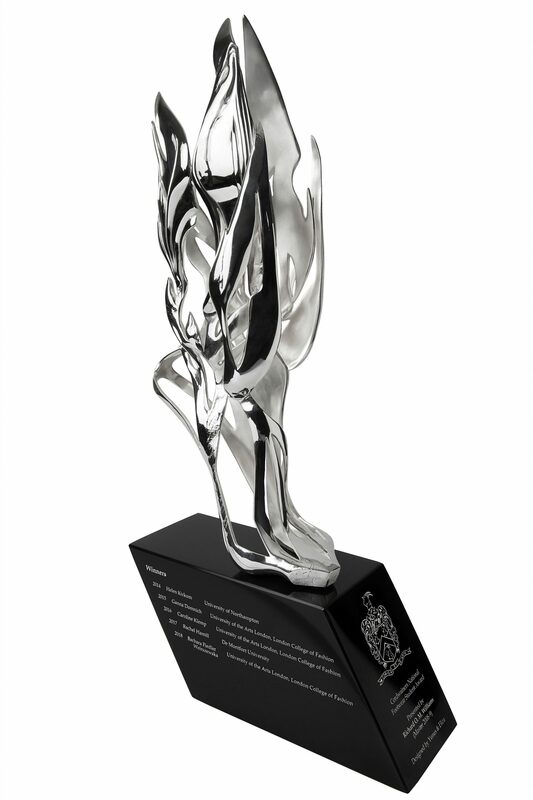 The solid Sterling Silver award is 45cm tall, and was first presented at Clotherworkers’ Hall in June 2018.